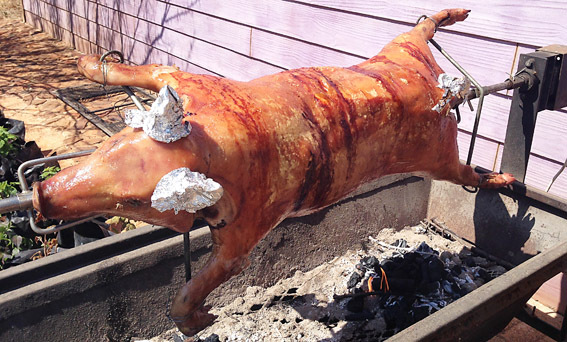 Suckling pig is traditionally cooked whole, often roasted, or cooked on a spit over an open fire. The meat from a suckling pig is pale and tender and the cooked skin should be crisp, and as brittle as glass. In factory-reared animals, the texture of the meat can be somewhat gelatinous due to the amount of collagen in a young pig. For a good quality suckling pig, all that is needed is a good rubbing of salt. 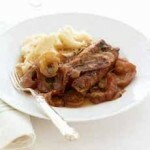 For a recipe on how to cook free range suckling pig, click here ….